As advertising campaigns go, our “Erase Breast Cancer” effort for Skagit Regional Health and The Breast Institute became one of the simplest, yet most effective messages we’ve produced. Breast cancer is not an easy subject to market. When the idea was developed in the office, we all knew we had something special. Simply erasing the “R” and “S” from Breast Cancer provided the powerful message we wanted to convey: BEAT CANCER. And that’s exactly what the design and imagery portrayed: A simple piece of text combined with an eraser and the depiction of erased letters. The campaign included print and online ads, direct mail and table tents. It was well received by our client who said the campaign hit the objective to which they were seeking. We were especially thrilled to hear from our client, the Seattle Cancer Care Alliance (a large partner in providing cancer care services with Skagit Regional Health) took notice and wished their marketing team had come up with the solution. 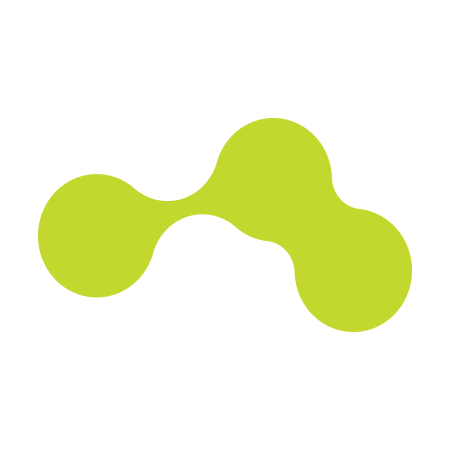 The campaign was launched in 2013. In 2014 the Puget Sound marketing publication MarketingNW sent out their annual call for entries for the MarketingNW Awards (work to be judged was to have been produced in 2013). 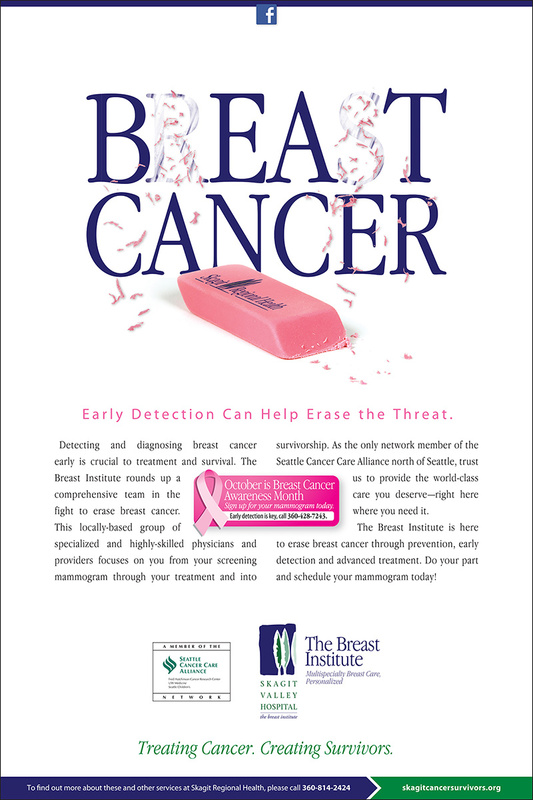 We sent the Erase Breast Cancer campaign in newspaper ad and direct mail formats. BrandQuery President and Brand Strategist Jacque Beamer attended “The Event” at Bell Harbor in Seattle, the awards ceremony for MarketingNW. Winners for each category were announced, BrandQuery won Silver and Bronze for two additional entries. 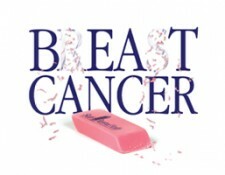 The “Big M” (First Prize) in the Advertising – Print/Web Ad category was awarded to BrandQuery for the Erase Breast Cancer campaign. 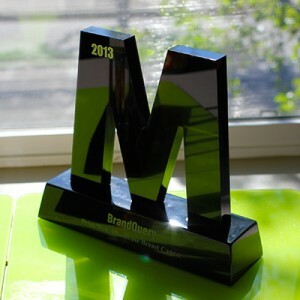 The Big M now sits proudly at our reception counter (among other Big M awards). But wait… There’s more! The winners of each category became eligible for the night’s biggest award, the coveted Crystal M. The Best of the Best for 2013. BrandQuery was up against the biggest and best agencies in the Seattle area for the award. BrandQuery won Best of 2013 for the Erase Breast Cancer campaign. 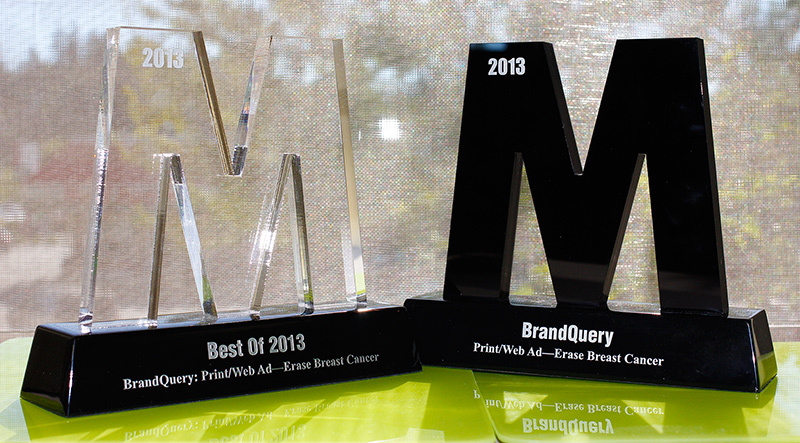 What an honor for BrandQuery to be selected as the 2013 MarketingNW Awards Crystal M winner, for a great client and for an important service line and message to and for breast cancer patients. The award came with a $500 prize. 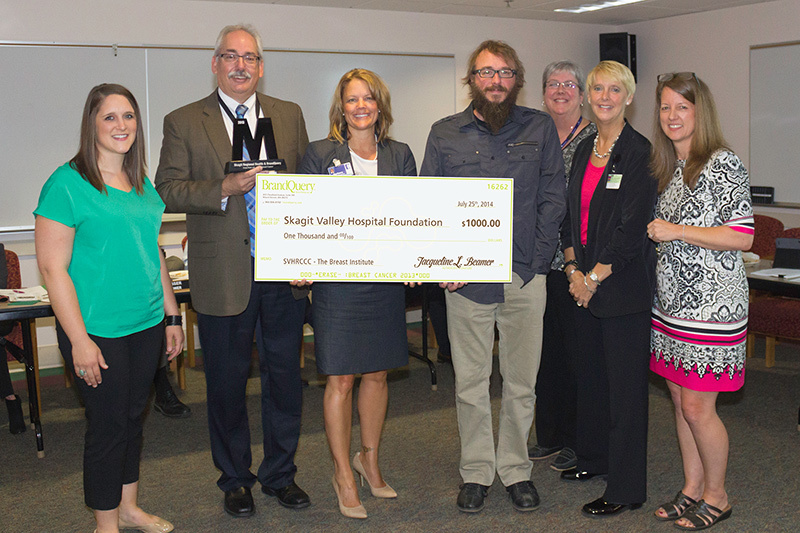 BrandQuery matched the $500 for a total donation of $1,000, to The Breast Institute at Skagit Regional Health. The campaign returned, bigger than ever in 2014 and 2015 on a northbound I-5 billboard in Snohomish County. The campaign raised even greater attention and awareness in the fight against breast cancer.